As it is in French here is the rewinded version. New Sroka W-Foil is very easy to prepare. One piece aluminum fuselage matches perfectly with the full carbon mast. The wings to fuselage and fuselage to the mast fixed with the inox bolts. With deep tuttle mast finbox is the best windfoil box option because it has four conic sides. W-foil delivered with the special carrying case. The lift with W-foil is early, even in a very low speed. The front wing gives great lift and it situates under the front foot strap. Once in the air it stays stable and to keeps well the longitude balance you will just need to move slightly your body. 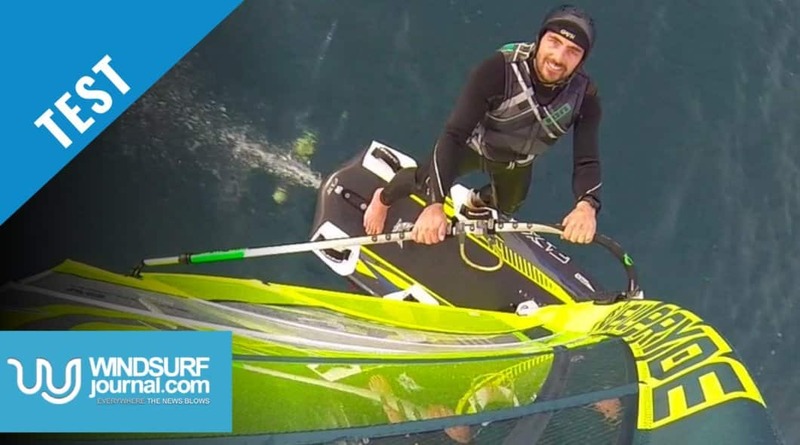 The only beginner mistake that you can do is to try to lift the hydrofoil to quickly. By doing so you will have an up and down sensation which should go away with the experience. This windfoil is perfectly adapted for learning and enjoying the hydrofoiling sensation from the very first steps. The maximum speed that we have reached with it is 22knots.